Daniel Pryor exposes the damage that will be caused by Labour’s proposals that force firms to hire apprentices if they employ skilled foreign workers. Socialism is trendy again, thanks to Ed Miliband and the Labour Party. Well, sort of. Resorting to the same shameless populism that Red Ed and co. often criticise the Conservative Party for, Labour recently waded into the mire of anti-immigration opinion by announcing plans to make large companies train a new apprentice for each skilled worker they hire from outside the EU. For most people on the Left, the “natural party of anti-immigration” is the Conservative Party: but it is worth remembering who coined the phrase “British jobs for British workers”. Realising that majority opinion in the United Kingdom is anti-immigration (despite ample evidence of its many benefits), Labour has responded with one of the most nakedly awful policy proposals since Marx advocated the abolition of private property. Forcing firms to train apprentices if they hire foreign workers will do serious real-world damage, unlike the Tories’ (rightfully) derided “Go Home” vans. It is economic suicide, and in this manner just another instalment in the long line of economic blunders that have befallen the party. Just be thankful that Labour aren’t in government – at least not yet. The human cost of this scheme will be enormous. 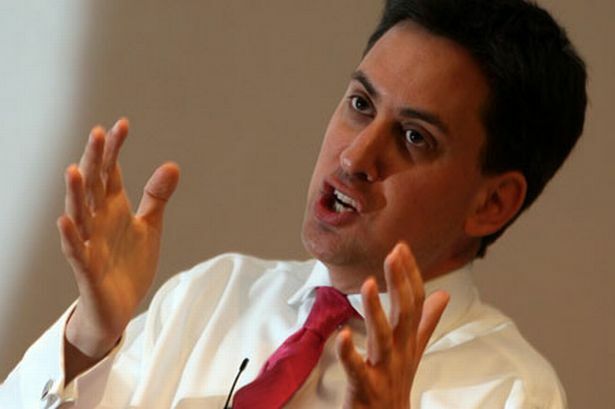 Immigration is an overall benefit to the UK economy, and Miliband’s plans to force up the cost of hiring skilled foreign workers are aimed squarely at hindering wealth creation by some of Britain’s most productive immigrants. A potential counterargument may be that by making the cost of skilled foreign labour uneconomically high, the jobs will instead be taken by British workers. All very well, except for the fact that the Tier 2 workers targeted under Labour’s plans are specifically those “offered a skilled job to fill a gap in the workforce that cannot be filled by a settled worker”! Any sensible firm would react to a surge in labour costs by hiring less workers, and perhaps even firing more of them: two outcomes which are indisputably deleterious to the both the employed and the unemployed. To put it another way, why aren’t Labour simply forcing firms to hire an extra worker every time one person is hired? In fact, why not force firms to hire ten workers for every one person hired? The answer should be obvious, even to someone utterly unfamiliar with economics. The human cost of this scheme will be enormous. Admittedly, abstract talk of “the economy” is not clearly relevant to people’s everyday lives. But the real consequences of lost productivity, reduced tax revenues and hampered job creation are anything but abstract. This anti-enterprise, anti-jobs, anti-immigration, anti-logic policy will inevitably result in higher taxes, ballooning national debt, and less job creation in an age when we cannot afford to exacerbate unemployment. Whilst David Cameron’s rendering of international as the “global race” may attract raised eyebrows, it is true to say that by burdening large firms with inordinate labour costs, Labour’s proposals are likely to deter new businesses from basing themselves in the UK. Less new businesses means less jobs, and whilst the motivation behind this regulation may be noble, good intentions count for naught when the results of a policy are detrimental. Ed Miliband is completely right to highlight Britain’s chronic levels of youth unemployment – currently standing at 21%. However, the way to remedy this problem is not by crippling the firms that hire young people in the first place: piling yet more debt upon my generation in the process through lower business output. There are a number of credible antidotes to Britain’s diseased labour market. The National Minimum Wage is an area of regulation especially injurious to young people, who are hit disproportionately hard by the state’s refusal to allow workers with less productivity to enter the labour market (what company would hire someone that made them a loss?). Admittedly, politicians have, at least to a limited extent, acknowledged the cries of economists that minimum wage laws do far more harm than good – differentiating the NMW with respect to age. Taking this further and substantially lowering – or indeed scrapping – the National Minimum Wage would free many young people to get into work, yet Labour want to increase it. Furthermore, increasing the incentive to work through welfare reform, exemplified in the ongoing implementation of Universal Credit, is also another sensible response to the problem of youth unemployment. Unsurprisingly, this has also been vociferously attacked by various Labour Party politicians. 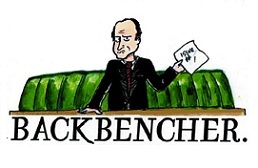 Barely a day goes by without Ed Miliband criticising the Coalition government in the Commons for being “out of touch”. Yet ultimately, it is Labour that is out of touch: out of touch with economic reality. We should oppose the apprentice tax. We shouldn’t however be surprised at those who conceived of it; this is merely “same old Labour”. Daniel is a market anarchist. He is currently in his second year of studying PPE at the University of Durham, taking a particular interest in open borders and drug legalisation. He has previously interned at Center for a Stateless Society and is currently on the Executive Board of UK Liberty League.